The Department of Civil and Environmental Engineering will be hosting a lunch reception with Professor Daina Ramey Berry in relation to her visit to Carnegie Mellon as a CAUSE speaker happening later on Friday, February 8. Please consider joining us to meet Professor Ramey Berry and hear from her about her relationship to and perspectives on engineering. As capacity is limited, we ask that you RSVP and register at the link below by Sunday, February 3. 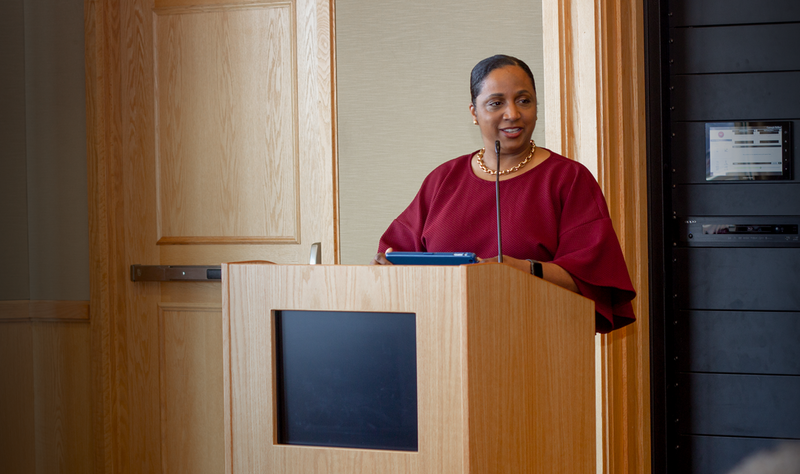 Professor Daina Ramey Berry is a distinguished historian and acclaimed author who has written about and often speaks on various dimensions of slavery, especially women and slavery. She is also the daughter of a distinguished CEE alum, Professor Melvin Ramey, a long-time professor at University of California Davis who passed away in 2017.